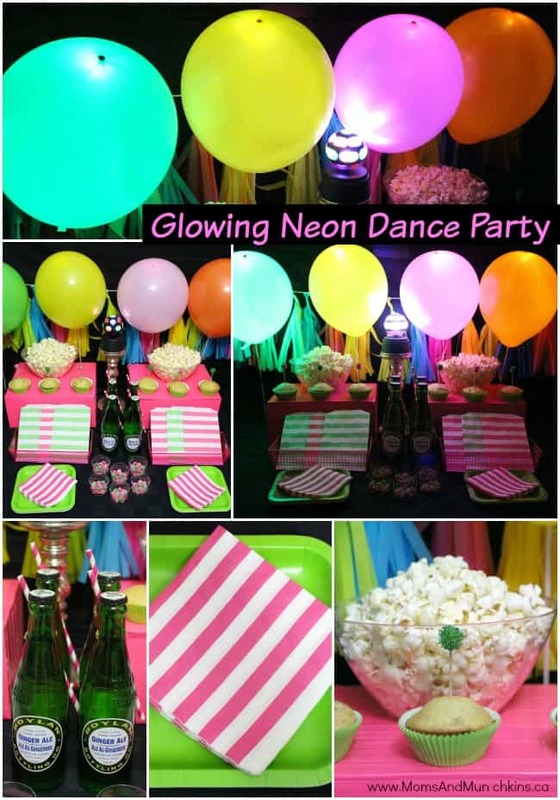 A glowing dance party is a theme that kids from toddlers to teens would enjoy. 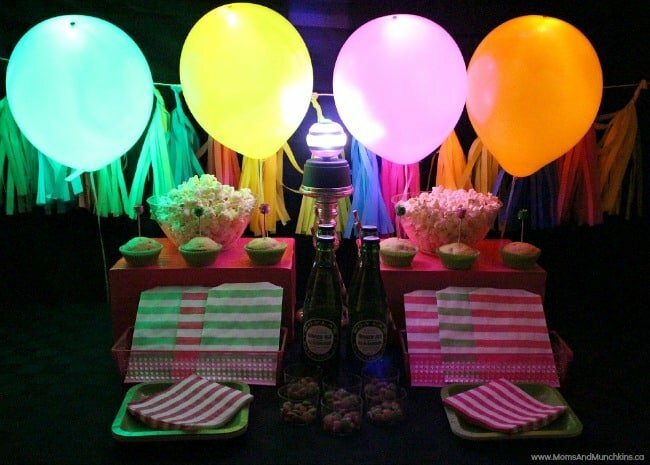 It’s a theme that’s so easy to put together – just add some glowing balloons, music and delicious treats. 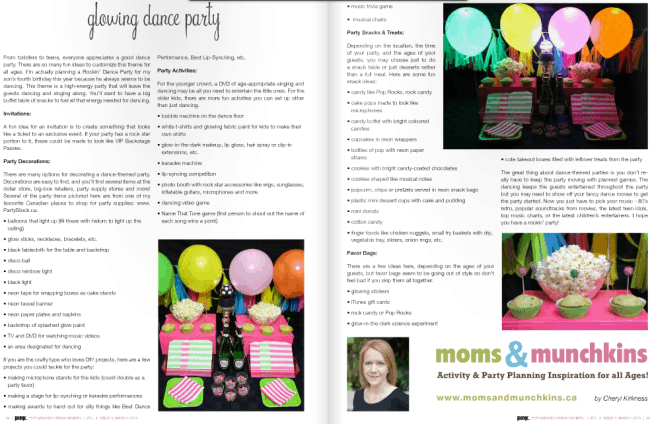 I’m excited to announce that this party was featured in PINK Magazine this month! 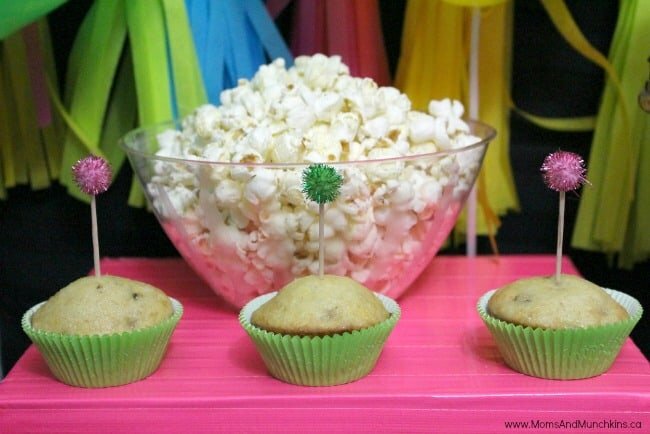 You can head over to the magazine article to read all about the party including tips for decorating, activity ideas, food ideas, favors and more. 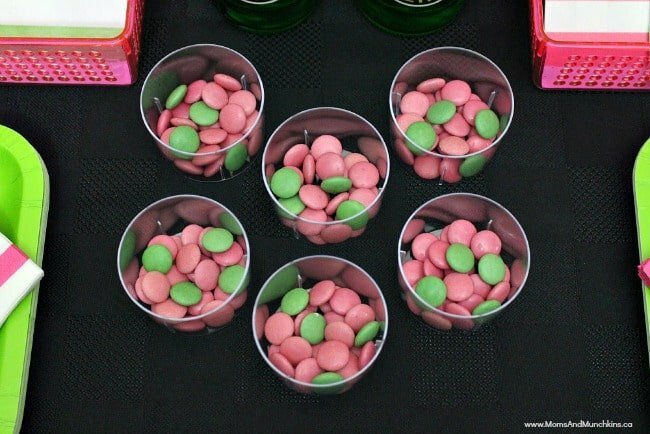 In this post, I’ll share all the party photos with you but be sure to visit the article for the full write-up of ideas! 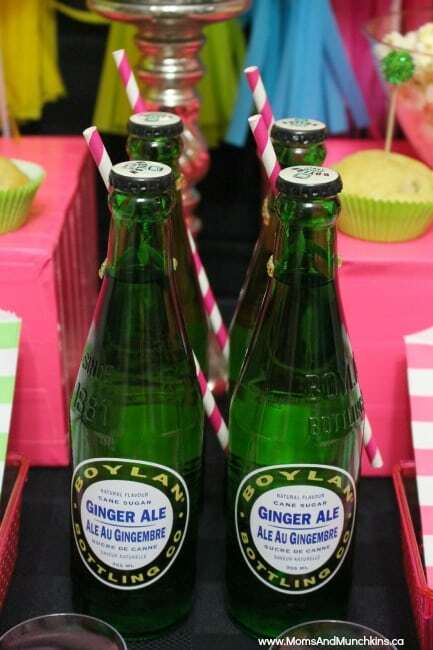 Many of the fabulous party supplies featured here are from PartyStock. 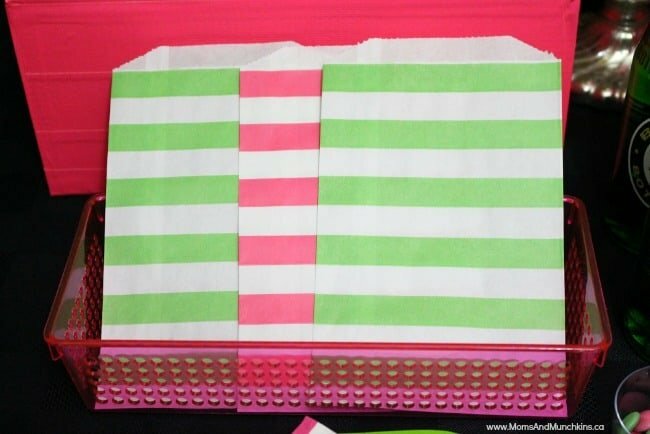 They have a wide variety of unique party decorations and I have so many of her supplies in my party storage room! It is a Canadian company but they offer shipping to the U.S. as well. 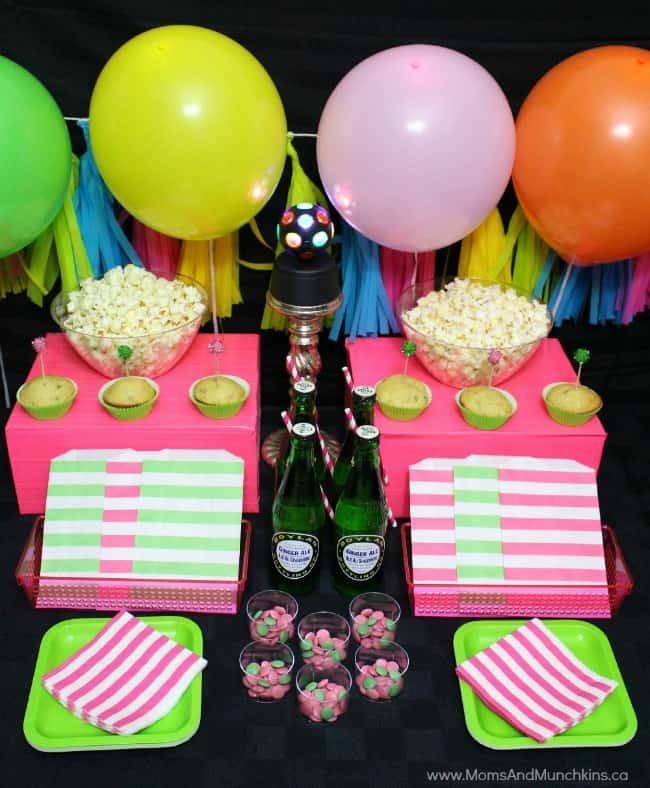 For more creative party theme ideas, visit our special Birthday Party page. 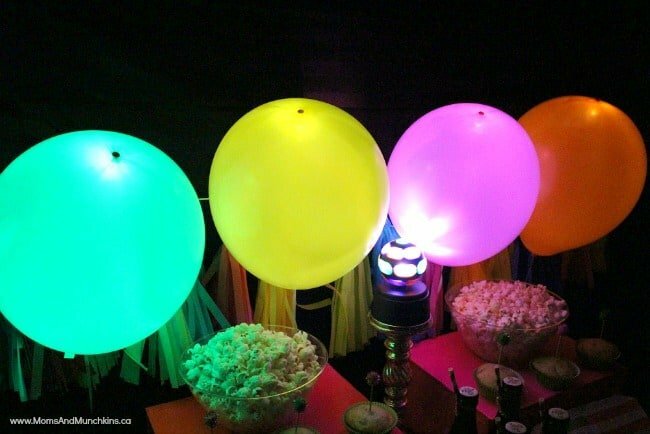 We’re always adding new ideas for parties and family fun. 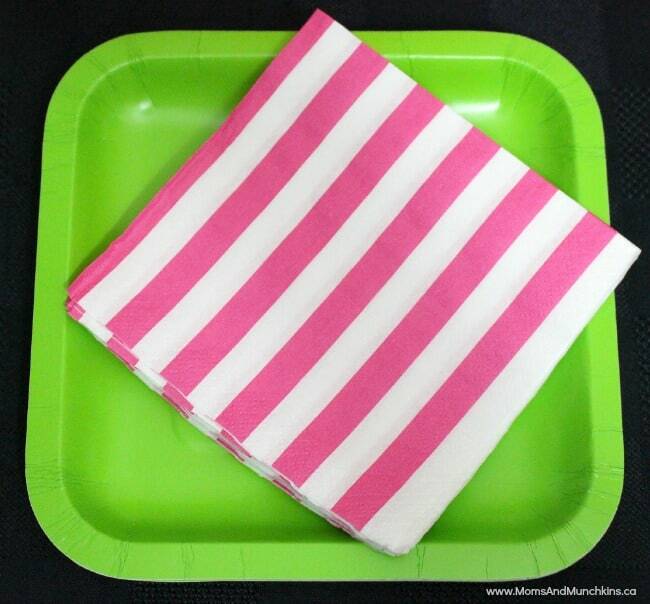 Never miss an update by following us on Facebook, Twitter, Pinterest and Bloglovin’.